Location: at Chicago Cultural Center. Who knew a day like this will come? Last year, I saw a video of kinetic sculptures “Strandbeest” by Theo Jansen.. as did millions of others, as there are more than four million views of his video. 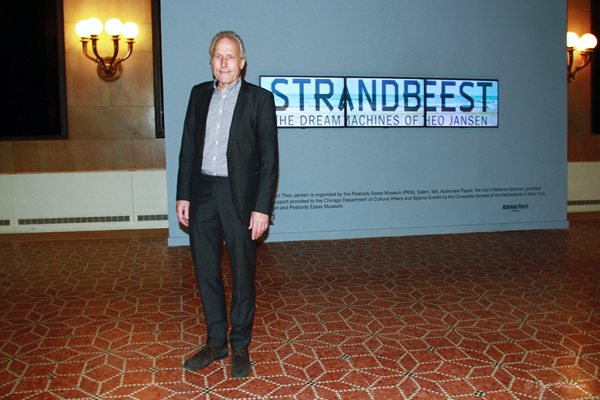 This ingenious artist had created strange wind creatures “Strandbeest” that roamed on the beaches in the Netherlands.. [Dutch: strand=beach; beest=beast].. As much as I admired them, I never even dreamt that I would see them! 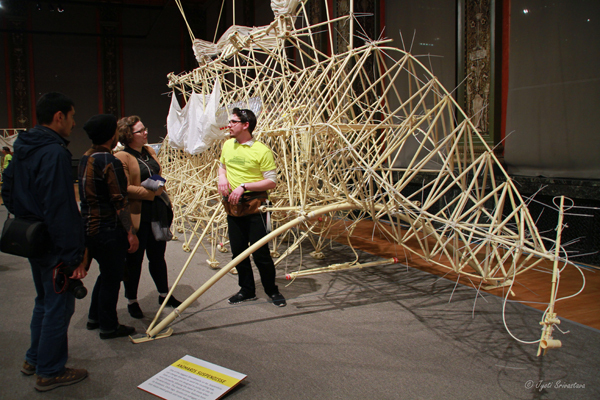 Strandbeest comes to Chicago Cultural Center! 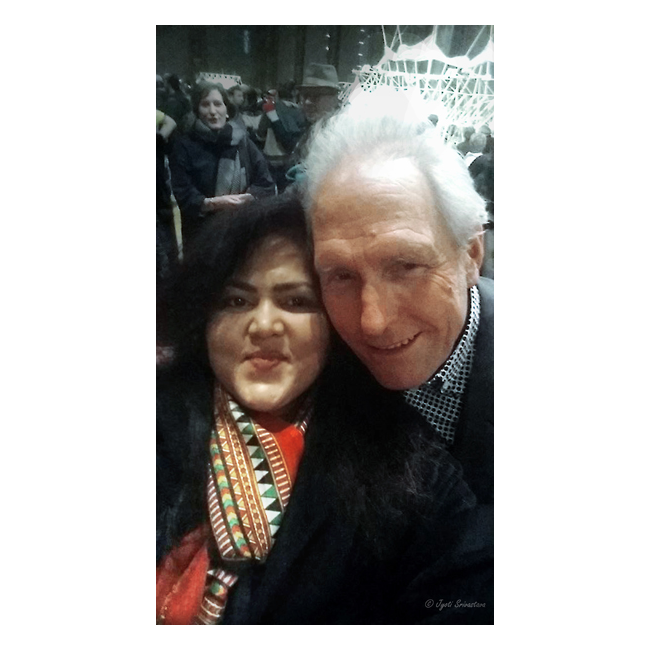 Not only I met with Theo Jansen, but took a selfie with him! Thank You for bringing this amazing exhibition to Chicago! The genius artist-engineer-sculptor Theo Jansen is also very personable and approachable! Thank You Theo Jansen! Here is my post: click here..
Strandbeest: The Dream Machines of Theo Jansen..click here..